If you’re looking for really great Advanced Publisher 2016 Training you’re in the right place. Companies large and small choose us – why? Your own tailored, Advanced Microsoft Publisher 2016 Training course, at your own premises at the same price as a standard course from elsewhere. In your Advanced Microsoft Publisher 2016 training, you will learn how to control colours and gradients in a publication. You will learn to publish a publication to the Web and how to create Web-based templates and forms. You will use WordArt. You will break long publications down into sections and create bookmarks. However, since each Advanced Publisher 2016 training course is tailor-made, we can cover exactly what topics you need to learn or expand upon. 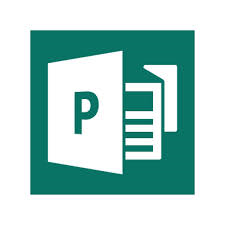 Our Microsoft Publisher training courses London, are available not only in London, but Surrey, Middlesex, Richmond, Twickenham, Hounslow, Brentford, Putney, Wimbledon, Staines, Egham, Feltham, Reading, Redhill, Reigate, Croydon, Bracknell, Uxbridge, Farnham, High Wycombe, Crawley, Sutton, St Albans, Watford, Fulham – in fact anywhere within the Home Counties and M25 corridor.